Yesterday I mused about using a MLRS pod (only the pod---without the truck) as a updated Dragon Fire type system. Instead of mortars we'd use rockets. The basis of the idea is the same as Dragon Fire. This pod would be capable of being towed by a JLTV, could easily be deployed by one person and could be transported by MV-22 to various-distributed locations that would provide firepower for the Company Landing Team concept that is being pursued. This is just a clarification of the idea. Instead of arty raids with cannons, we could conduct MLRS Dragon Fire missions with rockets. Want more range? Swap out the regular rocket with ATACMS. Got a rock sticking out the water but it might be a passage point for enemy ships? Put an MLRS Dragon Fire on the rock and connect that with the Netfires or whatever they're calling it. I think it sings. Oh and targeting? What we did with Dragon Fire we would do with the MLRS Dragon Fire. Plus the new networking that the Navy is working on should be bootstrapped to it. That's my modest proposal. NOW what do you think? Note: The issue is simply an engineering problem. 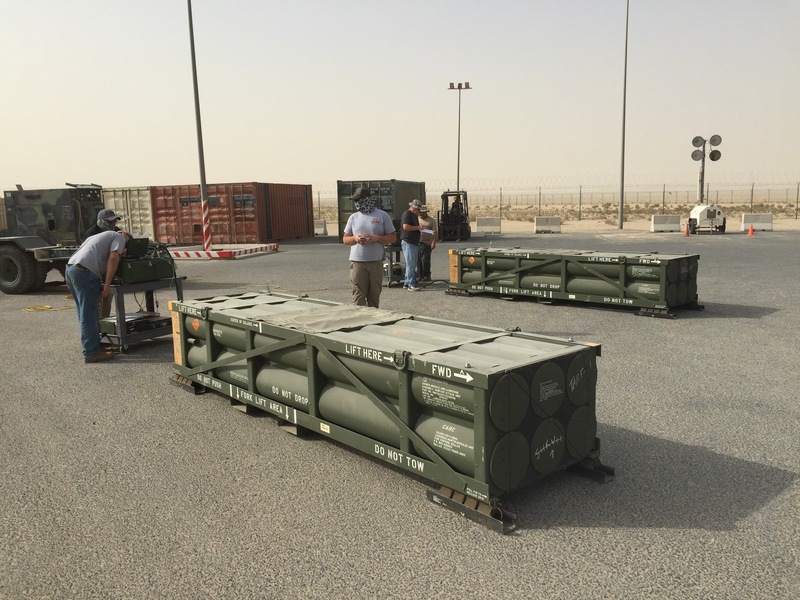 How do we develop an air transportable and towable platform to contain the MLRS pod? Check out the pics below. As you can see a single pod is quite compact. If we can't do a MLRS Dragon Fire then surely we can build a model that is towable or even a dedicated JLTV vehicle! Talk about on call firepower for our Ground Combat Element that's on call 24-7, 365, in all weather conditions!!! Oh and let me add that this would be in the hip pocket of the GCE commander!!! Ready when he is!